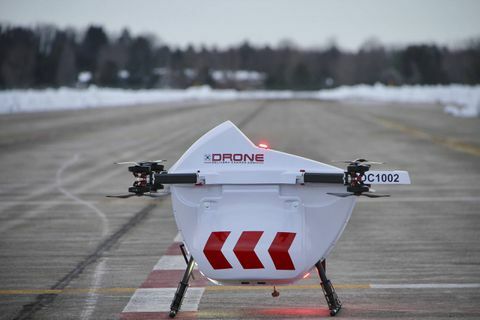 A drone from Drone Delivery Canada Corp. Investing in disruptive technology stocks can be enticing because of their huge profit potential, but it's not easy to pick winners. These young companies are challenging the playbook of larger businesses or inventing new markets. They can experience high growth, such as Amazon.com, which has become the poster child for e-commerce disruption. Or they could become takeover targets. But their technologies could also experience hiccups or have limited appeal. Some might not even have a proven practical application yet. And there is always risk that a competitor will come along with a better mousetrap. Given the recent stock-market pullbacks, which provide a cheaper entry point for investors, we asked three portfolio managers for their top picks among tech upstarts. Mattersight has developed software that helps cut costs and boost sales at call centres, but its data collection is key to applying artificial intelligence in the sector, says Mr. Barr. The Chicago-based company has amassed 1.5 billion recorded calls and more than 100 million phone numbers. Its technology creates profiles of customers based on speech patterns that enable callers to be routed to the best-suited agents. "It has created at least a 12-per-cent cost savings because [matching] can reduce customer call time," he says, and increase revenue from upsell opportunities. "This speaks to the customization of customer service. We have seen it with Netflix and Amazon." Formerly called eLoyalty Corp., the firm has about US$50-million in annual sales and is now breaking even, he said. "It would be pretty challenging for someone to replicate what they do." Calgary-based Questor has developed a clean-air technology that can help the energy sector deal with stricter environmental regulations, says Mr. Barr. The burning of waste gas at oil-and-gas production facilities, also known as "flaring," is bad for health and the environment, he says. "Questor has developed an incinerator technology, which is 99.9 per cent efficient and removes the bad stuff that goes into the air." Its proprietary technology has been embraced in Colorado, which has tough air-quality regulations, he says. "We see a lot of other states moving to this technology down the road … but the timing is incredibly uncertain." Questor, which is a profitable company, rents or sells its incinerators. Key risks are a slowdown in the oil and gas sector in the United States or the easing of environmental-protection regulations by politicians, he notes. 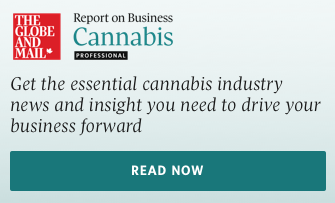 "Regulation certainly provides a tailwind." Drone Delivery's pilot project to fly supplies between the Northern Ontario communities of Moosonee and Moose Factory is an important step toward developing a commercial delivery service using unmanned aerial vehicles, says Mr. Taylor. The Toronto-based company recently obtained federal approval to fly its drones for testing without having to be in the line of sight of a ground-based operator. The drone technology is disruptive to traditional shipping methods, including helicopters and couriers, and could open new markets in northern communities that have "super high cost of goods," he notes. The firm doesn't have direct rivals, but "Amazon will probably be a longer-term competitor," he says. Drone Delivery will have revenue this year but won't be profitable yet, he says. "You are buying into the future." Nubeva, based in San Jose, Calif., has developed security software that protects businesses that are migrating their data management to public cloud platforms, says Mr. Taylor. Major cloud players include Amazon Web Services and Microsoft Azure. Given recent high-profile data breaches, Nubeva's blockchain-based cybersecurity service addresses a major concern, he says. Chevron Corp. is a client, he adds. Nubeva has a solid management team, including chief executive officer Randy Chou, who has been involved in tech startups and successfully exited them through sales or going public, Mr. Taylor says. "Even if competition comes on, there should be room for a lot of companies to grow and disrupt the current standard of practice [of relying on cloud providers for security]." Vancouver-based Venzee has developed software that allows suppliers to share product information easily with online retailers, says Mr. Palmer. Its technology lets suppliers avoid the labour-intensive job of filling in spreadsheets about product details to match retailers' requirements. Bed Bath & Beyond Inc. is the first major retailer to come on board, and others are in discussions, he says. Venzee's technology is disruptive because it dramatically lowers labour costs for suppliers. The company, which had nominal revenue last year, is expecting to make US$5-million to US$10-million this year, he says. Venzee was founded in 2014 by its president, Kate Hiscox, who has had success as a serial entrepreneur, he notes. Salsify Inc. and Shotfarm LLC are competitors in the space, but Venzee seems to be gaining more traction with retailers, he said. Toronto-based EEStor owns a majority stake in a Texas developer of energy storage technology that has the potential to be disruptive to the battery industry, says Mr. Palmer. EEStor was formerly known as ZENN Motor Co., which once built low-speed electric cars in Canada but changed its business to focus on electricity storage devices known as ultracapacitors. The technology is designed to boost power density and reduce the cost for energy storage, he says. "They have had independent tests done to show that it works. … I expect it will be announcing some more technical achievements over the next few months." EEStor will need to partner with a big player to go to the next level of testing, and then commercialize its technology, he says. "There is risk because it's an early-stage company, but the [potential] upside is massive," he says.